No more slipping foam grips! 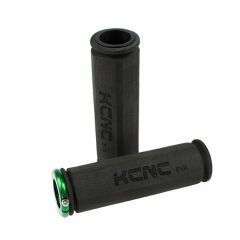 Lightweight lock on EVA foam grips from KCNC. The same lightweight EVA foam but fixed to a nylon sleeve and a cnc machined alloy lock ring on one end.